Is there a better alternative to Eggpage Web Design Document Viewer? 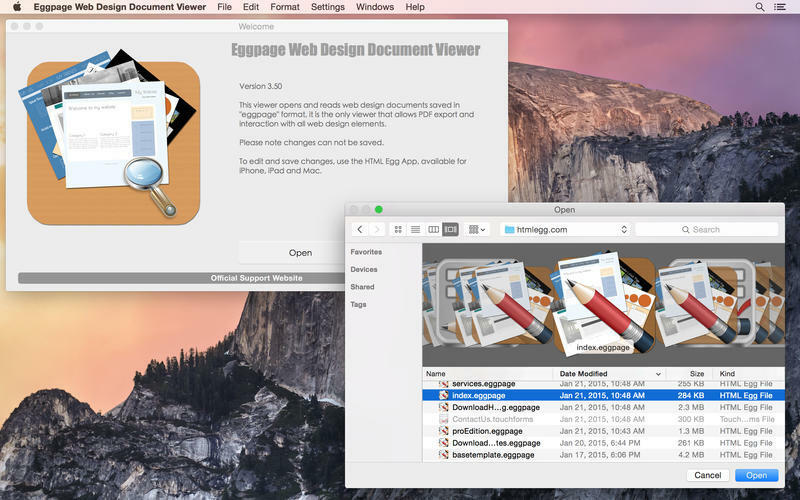 Is Eggpage Web Design Document Viewer really the best app in Developer category? Will Eggpage Web Design Document Viewer work good on macOS 10.13.4? Eggpage Web Design Document Viewer opens and reads web design documents saved in "eggpage" format: the only viewer that allows PDF export and interaction with all web design elements. "eggpage" is a native file format for web page designer app HTML Egg. Eggpage Web Design Document Viewer needs a review. Be the first to review this app and get the discussion started! Eggpage Web Design Document Viewer needs a rating. Be the first to rate this app and get the discussion started! Please note all documents are opened in read-only mode; changes can not be saved.